Nintendo's next console, the Wii U, has got us excited. It combines the best parts of the Wii with the graphical power of the other consoles and throws in the most insanest, ridiculously awesome controller we've ever played for good measure. But I'm sure you guys have questions. 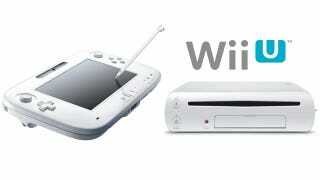 Here's what we know about the Wii U so far. What Is the Wii U? It's Nintendo's next generation video game system and amazingly, the video game industry's first new major home console since 2006. The controller. The Wii U's controller is smörgåsbord of technology. There a 6.2-inch full touchscreen (but not multitouch) controller with two analog sticks, one d-pad, four face buttons, two shoulder buttons and two triggers. Oh, there's a front facing camera, microphone and all the tilting, turning and motion controls of the original Wii controller too. Basically, it's the tablet-sized love child of the DS and Wii controller. What can the controller do? The better question would be, what can it not do, Nintendo showed off its versatility: Attached to a gun it's acting like a sight (kind of like Silent Scope), and in another demo, held portrait-style, it was a way to flick shuriken. In Aliens: Colonial Marines, it's used as a motion tracker that you sweep around you to see enemies, an interactive map, and to hack open doors in a kind of mini-game mode. You can basically play an entirely different game on the touch controller than everybody else is playing on the big screen. Or use it for another view of what's happening up on your TV. It also does video chat, it's web browser, and it mirrors photos/videos up on the TV. The potential is limitless, hopefully devs will tap into. One thing is clear: It's not its own system, since it pulls everything from the console. How many controllers can you use? You'll be able to connect four Wiimotes and one, maaybe two, of these new Wii U controllers. Katsuya Eguchi, one of Nintendo's chief game designers, told Kotaku, that using multiple New Controllers for a game would be "an interesting idea" and that "we're considering our options with maybe two screens". When Gizmodo's Matt Buchanan played it, he described it as being completely immersed in his own tiny world. He wrote, "my entire game takes place on the Wii U's controller, almost as if I'm playing not just an entirely different game, but an entirely different console. I move the aircraft with the twin analog sticks, forward, back, left, right. But to aim, I have to move the entire controller and my body with it, as if I'm surrounded by an entire world that can only be peeked at through the Wii U controller's screen. It's both profoundly connected and weirdly alienating. I'm not just the enemy for these players united on one screen, I'm in an entirely different space." There's a bunch of different ways to use the controller, including a stylus. What sort of games will be on Wii U? Unlike the Wii and to be honest, all the Nintendo systems before it, Nintendo seems to be making a concerted effort in landing quality third party games this go around. EA showed up for the first time at a Nintendo E3 event and praised the Wii U's uniqueness, saying it'd be perfect for sports games like Madden. The video demo showed off games like Assassin's Creed, Ninja Gaiden 3: Razor's Edge, Ghost Recon Online and others like Alien: Colonial Marines and Darksiders II. And of course, you can expect all the Nintendo classics like Zelda, Smash Bros and the rest of the lovely Nintendo world. How powerful is the system? Graphically, the Wii U seems to be on par with the Xbox 360 and PS3 (or at least very close to it). Guts-wise it's using a custom multicore chip from IBM and actually shares some technology with Watson, the Jeopardy robot ace. AMD is making the GPU, the system does 1080p, there'll be some flash memory on board (8gb it was rumored) and it will have 4 USB ports and support USB storage. One of Nintendo's chief game designers, Katsuya Eguchi, confirmed that the system's proprietary disc format will hold 25 Gigabytes of data. What else about the system? The Wii U won't be able to stand vertically, it'll need to lie down. It also lacks an ethernet port (but might still include one when all is said and done). Kotaku also notes that you won't charge the New Controller by plugging it into the Wii U. To quote, "the yellow port I point out in the video is power, the black port an AV port. Perhaps the controller plugs into USB, or there'll be a USB power dock? Hard to say. We've not been shown whatever charging station will be used to recharge the controller." Are Wii games and accessories compatible with the Wii U? Yup, the Wii U is backwards compatible with your Wii games and more importantly, all your Wii accessories like your Wii controllers, Nunchuks, Wii Fit Balance Board, etc. However, Wii U won't be backwards compatible with GameCube. Nintendo didn't go deep into details about price but Nintendo president Satoru Iwata told Japan's Nikkei Newspaper that, "I don't think we can charge the same price as we currently do for the Wii." The Wii is currently $200 (and was released for $250). Heck, the 3DS costs as much as the Wii did when it launched. Also, given the complexities of the Wii U's controller, expect the price to be higher. The release date is going to be sometime next year. Nintendo has targeted a very broad range of dates starting from April 1, 2012 to December 31, 2012 for its release date but it's definitely a good amount of time from launching, hell, it's so far off that the game footage that Nintendo showed off in its video reel was actually footage from the Xbox 30, PS3 and PC. Uh, a lot. Everything from the resolution of the touchscreen, to the wireless technology connecting it to the Wii U (a guess: something with a lot of bandwidth, like 5GHz-y). We've tried to answer everything we do know above, but if you 've got more questions, drop them below and we'll try to answer them.